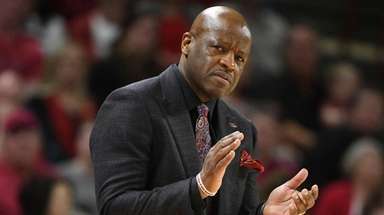 The team does not seem ready to win, so they must consider the future. The Giants are sticking with Eli Manning as their quarterback. For now. How long that commitment lasts likely rests largely in how well Manning and the Giants perform in the coming weeks and months of the 2018 season. Already there have been plenty of voices — esteemed ones at that — suggesting the end is near for a 15-year relationship between Manning and the Giants that has produced a pair of Super Bowl titles but little success recently. Phil Simms said he doesn’t think Manning will be the Giants’ starter in Week 1 of the 2019 season. Rich Gannon suggested that Manning start giving serious consideration to retirement. And that doesn’t even scratch the surface of the number of pundits and talking heads who have weighed in so far this season to pronounce Manning washed up. The only folks who still believe in Manning, it seems, are the Giants themselves. But even that won’t last long if the team continues to swoon. 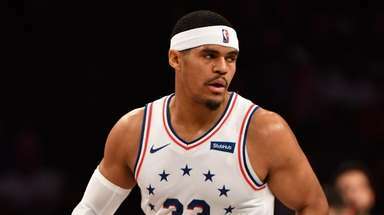 At some point, they’ll have to make the kind of decision that can rattle a franchise and become a pivot point between past and future and move on. The last time the Giants tried that — less than a year ago — they did it in such a ham-handed way that it resulted in the head coach and general manager being fired within a week of the decision and Manning playing every snap for the rest of the season. The good part about that episode is it took away one of the more sentimental reasons for sticking with Manning, that being his consecutive games streak. That’s no longer in play as part of any decision-making. That’s not to say moving on from Manning will be easy. After 15 seasons, there are a lot of emotions and memories that undoubtedly will be a big part the decision whenever the Giants decide to go in a different direction with the most important position on the field. But if the first few weeks of this season have done anything, they have served as a notice that the end of Manning’s time with the Giants is closer than ever before. For the last few years — and it took various forms with different players — the Giants felt it was necessary to have a long-term plan for Life After Eli. They drafted other quarterbacks to develop, brought in veterans to be backups. Suddenly those long-term plans feel very short term. Pat Shurmur was an assistant coach in Minnesota when Bridgewater looked like the league’s next great player before he destroyed his knee in a practice. Shumur raved about him this summer. “Teddy is an outstanding, competitive guy,” Shurmur said. “He has a unique charisma. When I was there with him, the whole area loved Teddy. 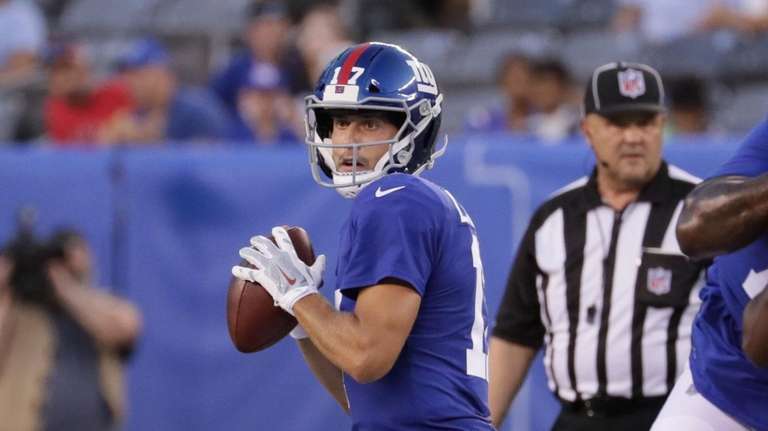 He just had that way about him.” The Giants probably could have had him this season had they wanted him badly enough; he signed a one-year prove-it deal with the Jets, who eventually traded him to the Saints, where he is a backup behind Drew Brees. 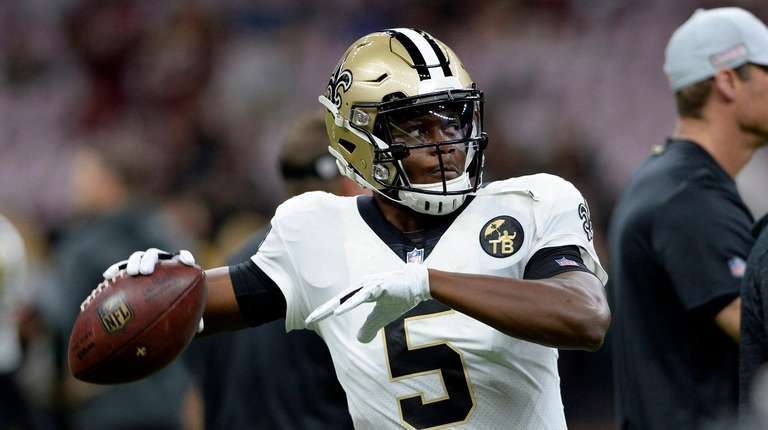 But the Saints likely see Taysom Hill as their quarterback of the future if and when Brees is finished, so Bridgewater will be a coveted free agent this offseason. Whether he’d like to play for the Giants likely depends on how the team approaches its quarterback situation overall. It’s unlikely he’d want to sign with a team that takes a young quarterback early in the draft and be a placeholder for said rookie. He already did that this summer with the Jets. The Giants are very high on their fourth-round pick out of Richmond, who showed them a lot of instinct and intuitiveness in the preseason. If they need to make a change at quarterback before the season is over, Lauletta likely will be the guy who steps in for Manning to mop up the schedule. Although he hasn’t even been active for a regular-season game yet, Lauletta has been impressive in practices. “During the week, he gets as many reps as Alex [Tanney] does, so we are developing him behind the scenes just like we would any rookie,” Shurmur said. “Aside from putting him in the game, he is getting all the work that he can get.” He’s also been running the RPO offenses on the scout team that have given the Giants fits, and Shurmur likes that kind of flexibility from quarterbacks. It’s something he can’t run with Manning. If the Giants continue to slide downhill they won’t make the same mistake they made a year ago with Davis Webb and go into the offseason unsure of what they have in Lauletta. Whether he would be able to show them enough to make the case to be the next full-time starter would be interesting to watch. The Giants passed on the quarterbacks in the 2018 draft class in favor of Saquon Barkley. 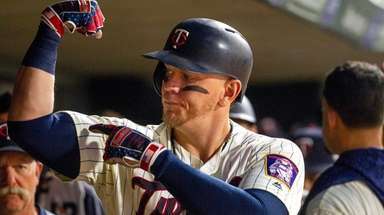 Can they afford to pass on one in 2019, especially one who some scouts say may wind up even better than this year’s crop? Oregon's Herbert has separated himself from the pack with his combination of physical and mental tools. At 6-6, 233 pounds, he’s a big passer with arm strength, but he also has very good athleticism and touch on his throws. 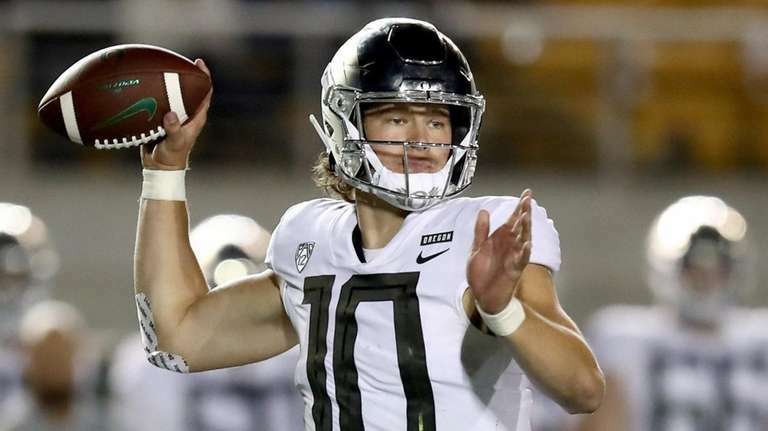 He’s a biology major who was named first-team Pac-12 Academic All-American with a 4.08 GPA as a sophomore, and that intelligence translates to the gridiron, as he’s shown the ability to go through his reads and deliver plays both on and off schedule. 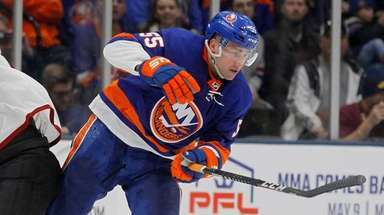 He missed part of the 2017 season with a broken collarbone, but when healthy he has what teams look for in a franchise passer. The Giants will have to be drafting pretty high (or trade up to that area) to get Herbert, possibly even first overall. If things keep going they way they been, though, that may not be a problem. Why not replace a two-time Super Bowl MVP with one who’s also garnered that honor? And with the only other quarterback to beat the Patriots in a Super Bowl? Assuming Carson Wentz gets through this season physically, Foles, who will be a free agent, would become expendable for the Eagles. He has a history with Shurmur, who coached him during Foles’ first stint with the Eagles, and the two have remained close. After last year’s NFC title game, Foles came down to the Vikings’ locker room area to say hello to Shurmur. 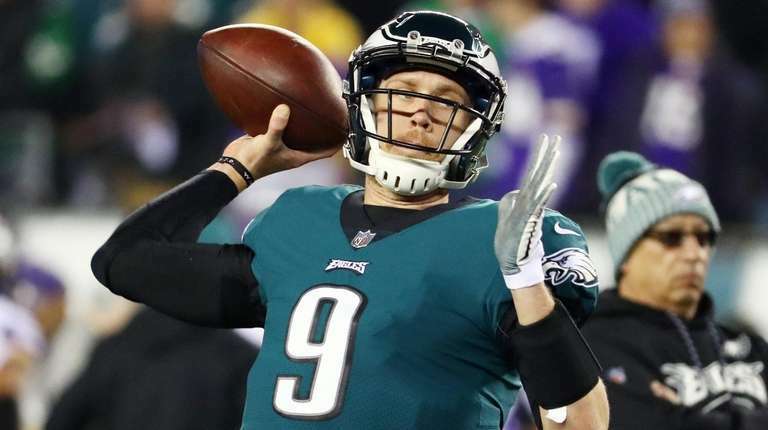 Foles clearly has no issue serving as a backup and mentor to young players as he has with Wentz, so he could be the ideal player for the Giants to sign if they also plan to draft a quarterback in the first round. If the rookie isn’t ready at the beginning of the season, Foles starts for a while until he is. That’s what the Giants did with Kurt Warner — another Super Bowl MVP, by the way —when they drafted Manning. Before the season started, Missouri's Lock widely was considered to be the top prospect in the class, but an uneven start to his senior year has taken away some of that luster. Lock might remind some people of Josh Allen from last year’s class: both have ideal size (Lock is 6-4, 220 pounds) and excellent arm strength, and he’ll have plays that will make fans say “Wow.” However, like Allen, Lock struggles with consistency. 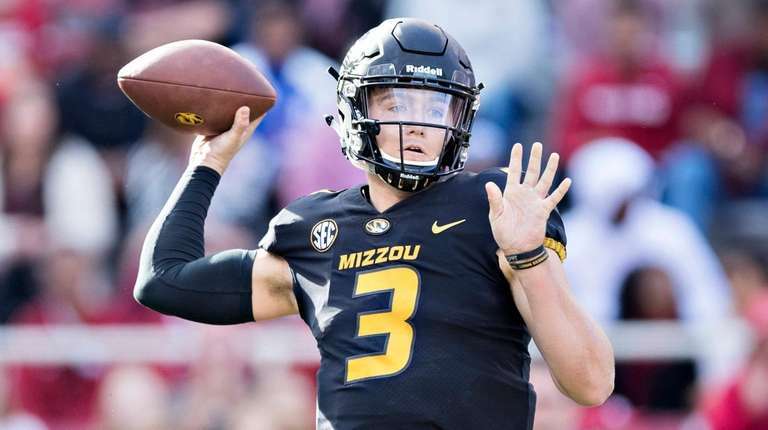 After leading the Tigers to a 3-0 start with a 69-percent completion rate and an 11:1 touchdown-to-interception ratio against the likes of UT-Martin, Wyoming and Purdue, he has thrown one touchdown and five interceptions and completed 48.1 percent of his passes in Missouri's last three losses, all against top-tier teams (Georgia, South Carolina, Alabama).